Everything came out, everything that wasn’t necessary for that flight came out of the helicopter. Then, of course, it was smoothed to make it as completely streamlined as we could, but there was a couple, if not three co-pilot windscreens which imploded on poor Derek, which must have been a bit of a shock. Then we kept increasing the thickness until they got it right. I don’t know why it was the co-pilots side that went every time, thank goodness they were all ok and came back safe and sound. The first time they flew we had the incident angle worked out incorrectly and that was probably a bit hairy for the flight crew, because when it took-off it was almost nose-up rather than nose down. We redesigned the jet pipes where instead of them washing down the side of the aircraft, they went straight back and we slightly reduced the diameter. 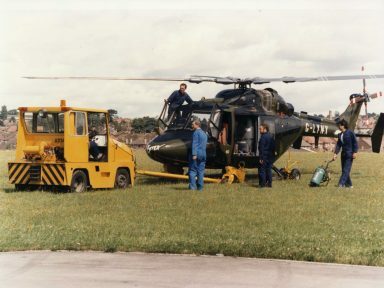 The rotor head had collars fitted to it for smoothing the airflow. The inspection was critical, as you can well imagine, looking for cracks all the time, especially on that transport joint and down the tail cone, but no, nothing ever showed. That’s the one thing that disappointed me, actually, was that they wouldn’t allow it to fly into Farnborough. 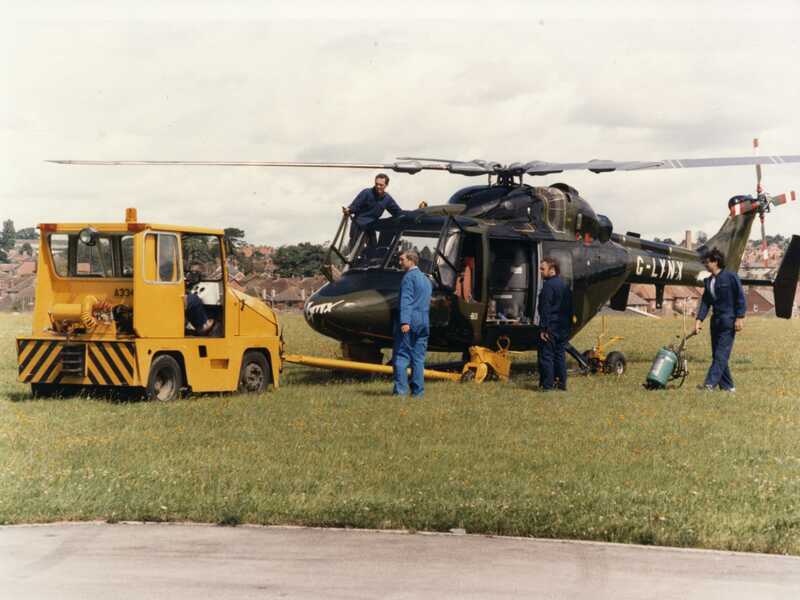 I was hoping that they would allow it to have been flown into Farnborough for that show, but the stress men said no. They said that the stresses on the airframe were enough. A lot of people made comments at the time. They thought it was a complete waste of time and a waste of money. And that comment was actually made to me by people in Westlands but, I suppose, history proves that wrong.